The first out LGBTQ boxer to win Olympic gold has done it again. 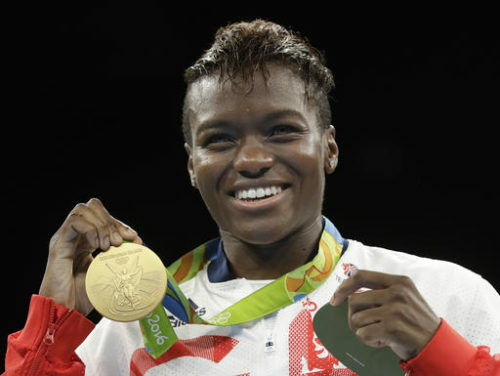 Out bisexual boxer Nicola Adams brought home her second gold for Team Great Britain in the flyweight, beating France’s Sarah Ourahmoune, PinkNews reports. Adams became a household name in the United Kingdom after her 2012 win, and came out as bisexual the following year — though she’d really prefer to avoid the labels. Her courage in and out of the ring earned her the top spot on the Independent of Sunday’s Pink List of influential LGBTQ people. This time around, Adams seems more self-assured. Now that the world has seen what happens, many are asking if she’ll give it a third try. While Adams hasn’t made a definitive statement either way, the 33-year-old may have hinted at retirement when she commented on how tough the experience is. Her opponent, just one year older, has already announced plans to retire.